This heavy duty twist knotted brush is designed & manufactured for use with angle grinders, 110 v or 240 v.
It will rapidly clean & wipe out rust to leave a purer metal finish on most surfaces for a natural look or for use before painting. 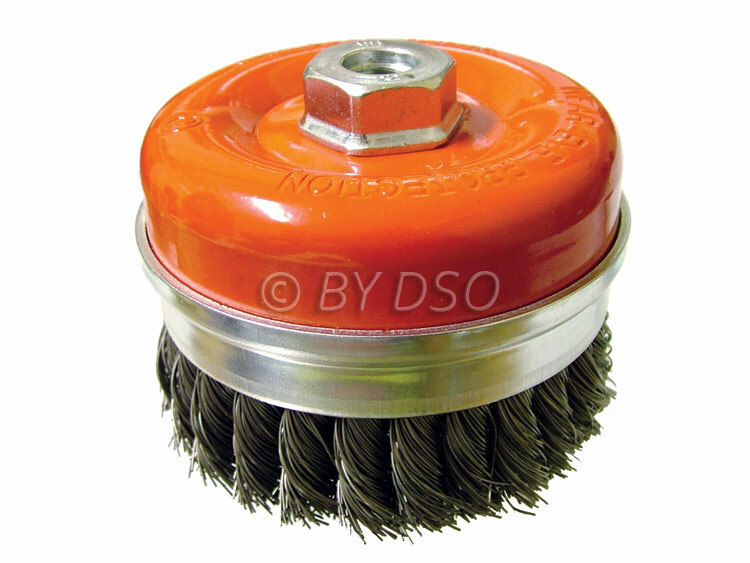 As well as rust removal, this knotted cup brush will remove paint and heavily corroded surfaces. It deburrs and can blend edges. Ideal for the industrial sector or equally as a heavy duty DIY alternative.